This book, first published in 2001, focuses on the formation of electrical junctions in the front-end processing of devices sized for the approaching end-of-the-roadmap. To address these issues researchers come together to share results and physical models that describe phenomena which control the three-dimensional dopant profile. Highlights focus on future issues in device scaling and how they can be quantitatively linked with the requirements placed on dopant profile and junction formation. Emphasis is on shallow junction depth and high-concentration activation as well as the extremely tight limits on junction abruptness. An excellent overview of the field of implant and annealing in silicon devices is also provided. 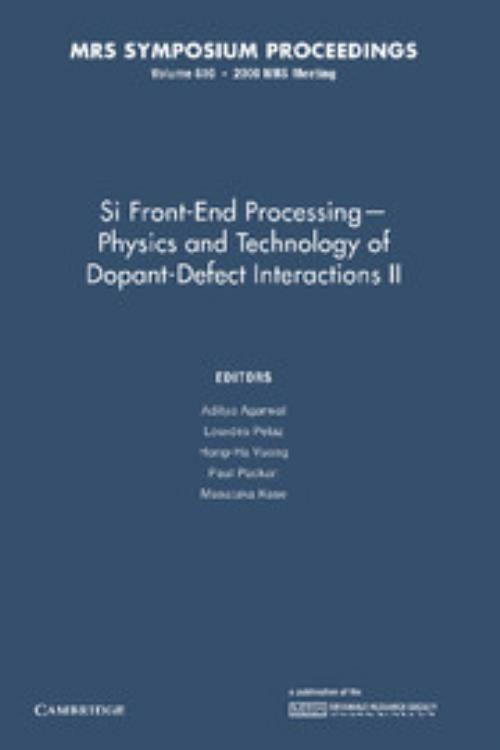 Topics include: the challenges of device scaling; 2-D dopant characterization; Si front-end processing; ion implantation and shallow junction technology; group III dopant diffusion and activation; carbon diffusion and interaction with point defects; group V diffusion and activation; vacancy-type defects - interaction and characterization; regrown amorphous layers and structure and properties of point and extended defects.